• gained at least two interest badges. 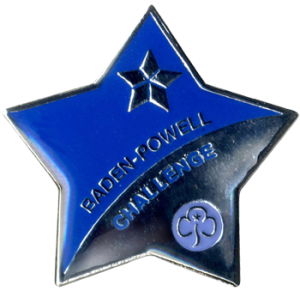 The Baden-Powell Challenge is divided into five zones, each containing lots of different clauses. You need to complete ten clauses in total. You should do one from each zone, then five more. These can come from any of the zones. Up to two of them can relate to Country/Region or Girlguiding initiatives. 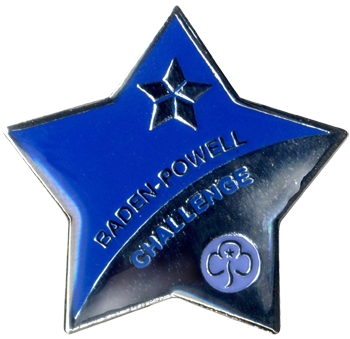 To finish the Award you need to take part in a Baden-Powell Adventure. These are usually residential events organised by your County or Country/Region for all Guides in the area who are doing the Baden-Powell Challenge. Within Girlguiding Middlesex East we have a BP Registration form which will help the county offer support and track progress through the award, please complete this form when girls start and send it to guides@ggme.co.uk.